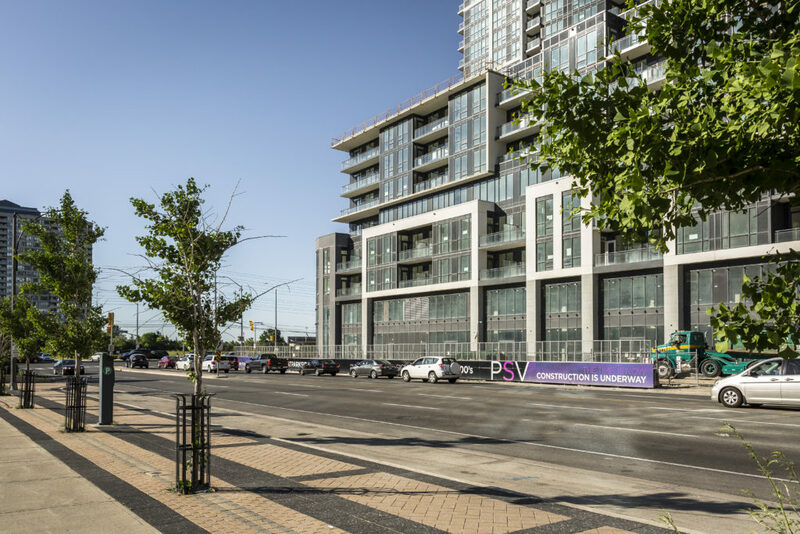 Noteworthy for its scale, design and community development, Parkside village is located at the northwest corner of Burnhampthorpe Road West and Confederation Parkway, in Mississauga, Ontario. 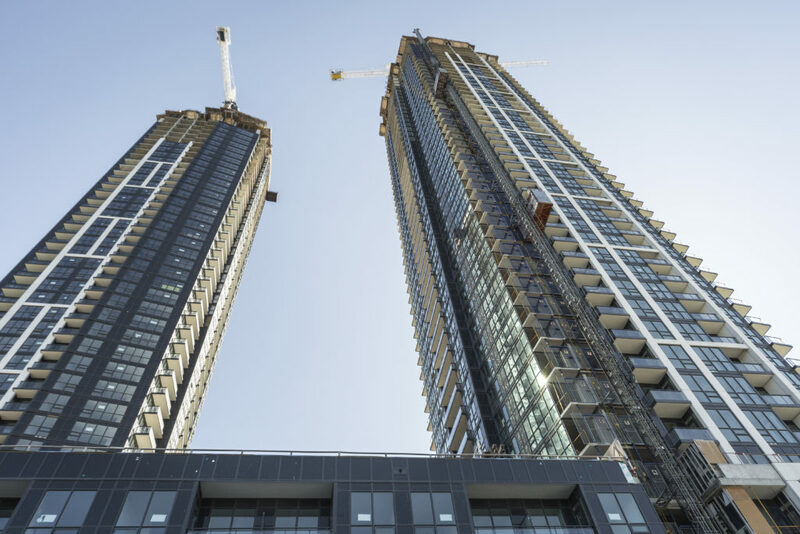 PSV1 (48 storeys) and PSV2 (42 storeys) constitute Phases 4 and 5 of Parkside Village, a masterplanned community in Mississauga’s growing City Centre. Reflecting the urban nature of the site, retail and restaurants will provide 30,000 sf. of varied uses lining the two major streets. The project will have a three to eight-storey residential base building with a landscaped rooftop podium on Floor 4 and substantial indoor and outdoor amenity spaces. The Turner Fleischer project emphasizes strong urban design tenets, including a distinct pedestrian environment, unified built-form massing composition and creative skyline considerations. High density in nature, the project consists of 1,010 suites and five levels of underground parking.